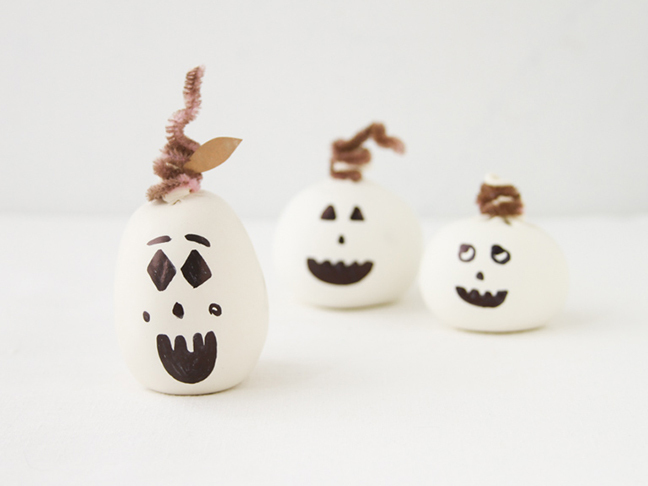 I love simple craft projects for the holidays. 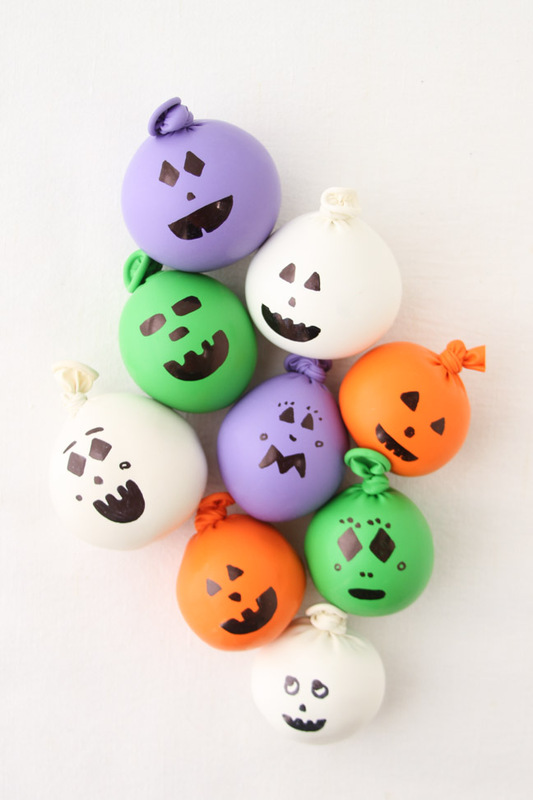 And since Halloween will be here before we know it, I thought this mini balloon pumpkin project would be a fun one to try. 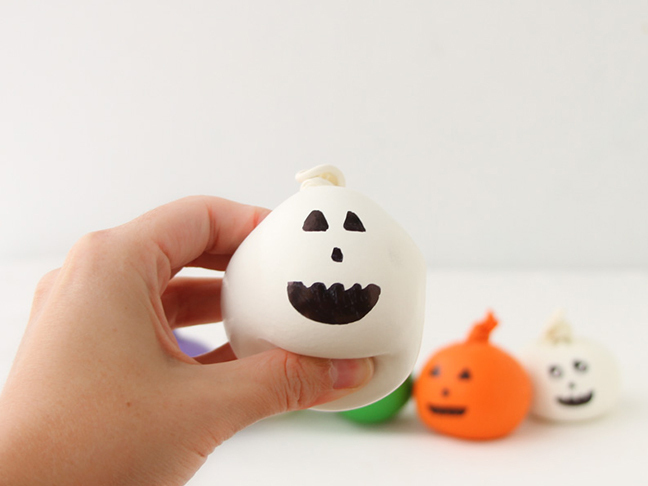 This is a great DIY for kids to make after school or over the weekend, and the finished pumpkins can be used for decoration or as a Halloween hacky sack or festive stress ball. 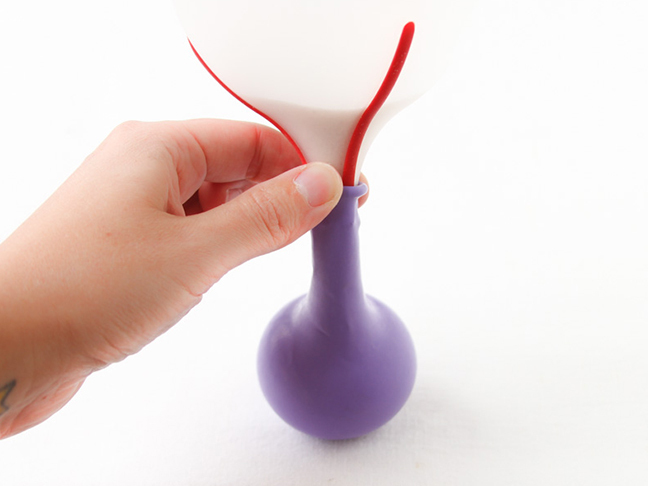 Step 1: Start by attaching the opening of a balloon to the bottom of a funnel. 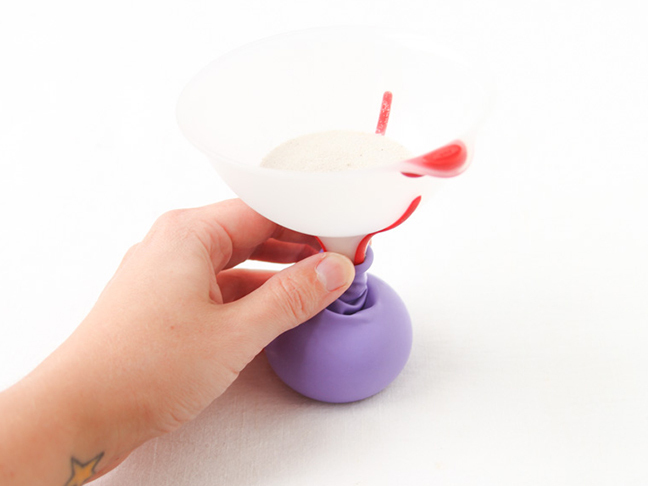 Step 2: Next, pour sand into the funnel while holding onto the balloon opening so it doesn’t come loose from the funnel. 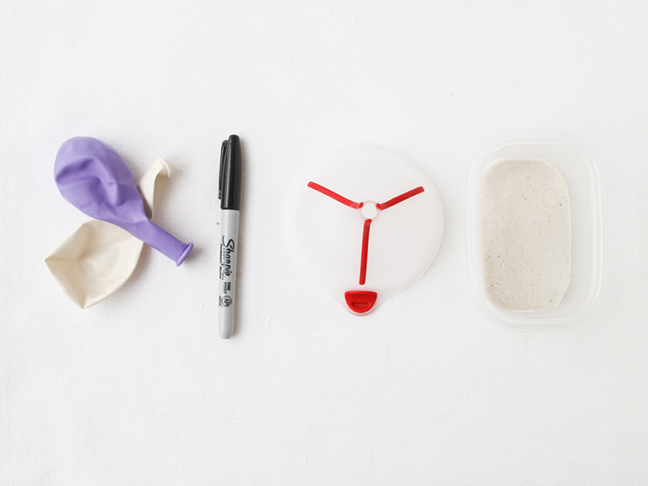 Step 3: Only so much sand will easily go into the balloon. 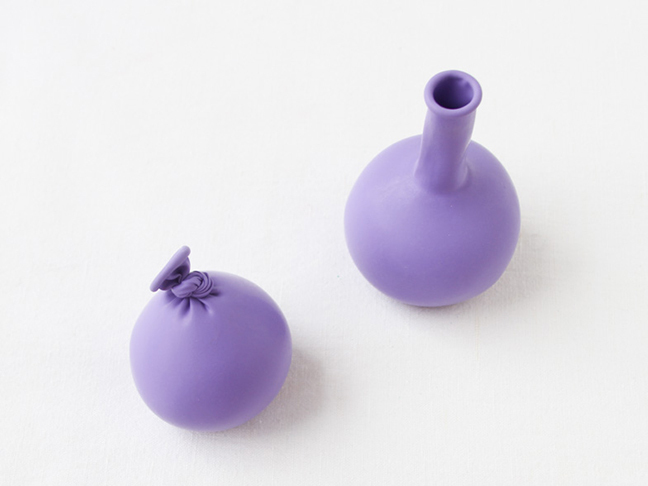 Once the bottom of the balloon and stem fill, there won’t be room left for any more sand. There is an easy fix for this, though. 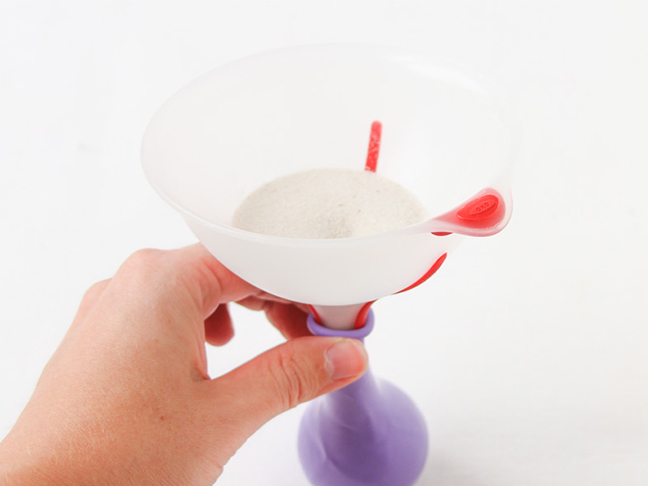 Just press the funnel down to move the sand from the stem down into the base, then lift back up, and more sand will go into the stem. Repeat this process until you’ve reached the desired size. 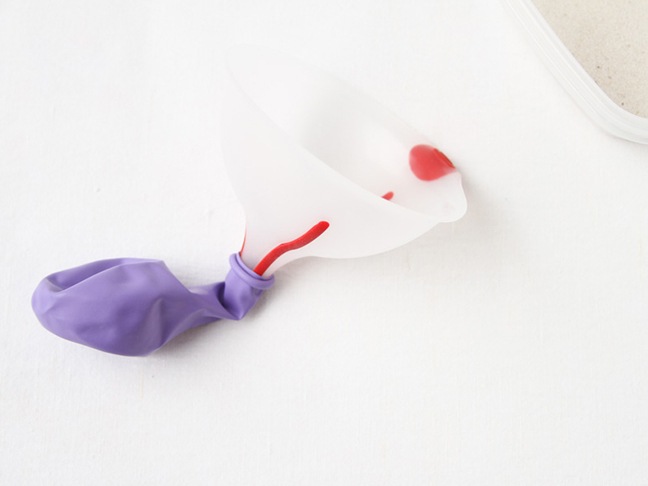 Step 4: Tie off the balloon. 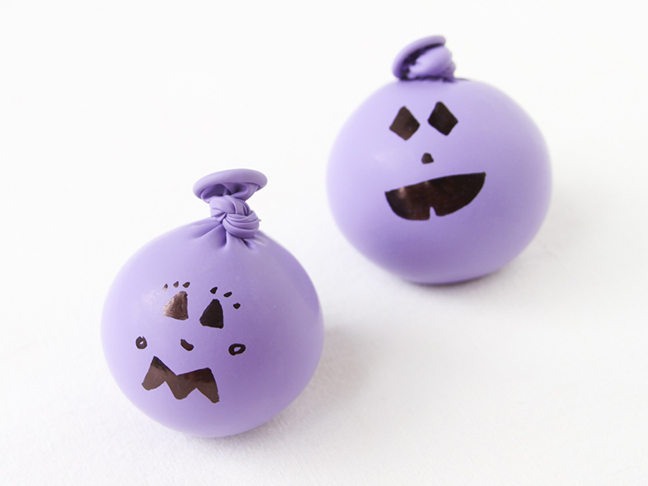 Step 5: Using a permanent marker, decorate your balloons with jack-o’-lantern and ghost faces. And you’re done! 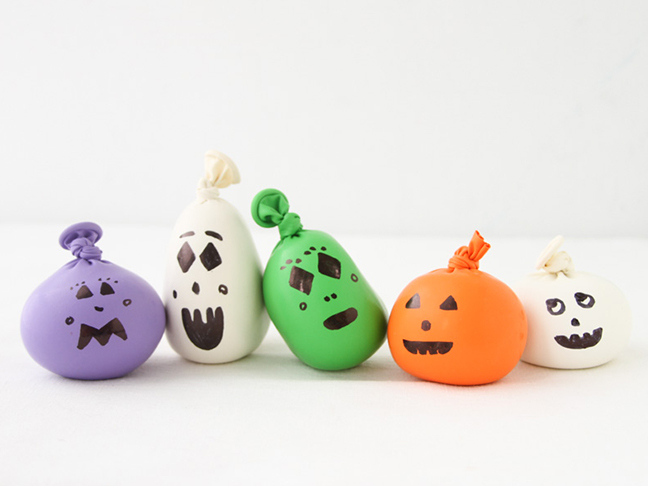 The sand inside each balloon makes the pumpkins super easy to mold into different shapes…some tall, some short and squatty, etc. 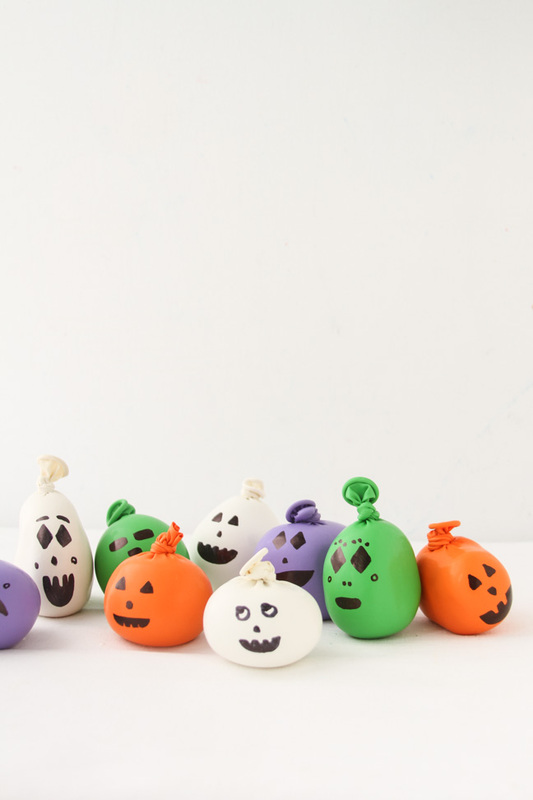 Take it further: As another option for finishing these mini balloon pumpkins, try adding a pipe cleaner stem and paper leaves.